The season had barely finished before there was the usual speculation as to which players OGCN was going to lose. Having missed out on European football by a measly one-point, it was inevitable that some of our more talented players would be on the move. We already knew that after two very successful seasons our manager Lucien Favre would be moving to pastures new, back in Germany. However, we have already managed to secure his replacement, a certain Patrick Vieira who hails from just down the road in Cannes. His appeal, particularly for OGCN, is his desire to play attractive football and his experience of working with youngsters, thanks to his time looking after them at Manchester City where his path would’ve crossed with that of Super Mario. Obviously, he’s played football at the highest level but has been involved in coaching for a number of years. OGCN are hoping he’ll be able to install that winning mentality in its players, particularly the younger ones. This means Vieira will leave his position as coach for MLS side New York City mid-way through the season. I called Mario Balotelli to wish him a happy holiday and also to tell him that we would see each other on 2nd July for the resumption of training. Meanwhile, just one day after the transfer window opened, the club signed Danilo, a Brazilian who previously played for Portuguese side Braga. In line with its stated philosophy, the club had targeted a youngster with great potential whom it had been following for several seasons. A defensive midfielder who is capable of driving forward and a member of the Brazilian international youth set-up, 22 year old Danilo came through the ranks at Vasco de Gama and has already acquired some solid experience of European football. He then signed for Braga and played a full season for them in 2014/2015 before being loaned to Valencia where he’s played in La Liga, the Champions League and the Europa League. Further loan spells ensued before he returned to Braga last season. That’s two incoming but what about potential outgoings? It appears Manchester City is interested in our Ivory Coast midfielder Jean Michael Seri who comes with a €40mn. price tag though many other teams including Chelsea, Napoli, Arsenal and West Ham are also keen on the 26 year old. Though I don’t expect anything to happen until after the World Cup. West Ham have also been eyeing up 21 year old Allan Saint-Maximin and Brazilian Marlon, on loan from FC Barcelona. However, there are more rumours about Alassane Plea who could follow Favre to Borussia Dortmund. Of course, I might bemoan that our brightest and best may be off to pastures new at OGCN but don’t get me started on Aston Villa. My beloved boys in claret and blue are in all sorts of hot water since failing to gain promotion to the Premiership via the play-offs. However, let’s put all that to one side and focus on the FIFA World Cup which kicks off today in Russia. Who’re you putting your money on? 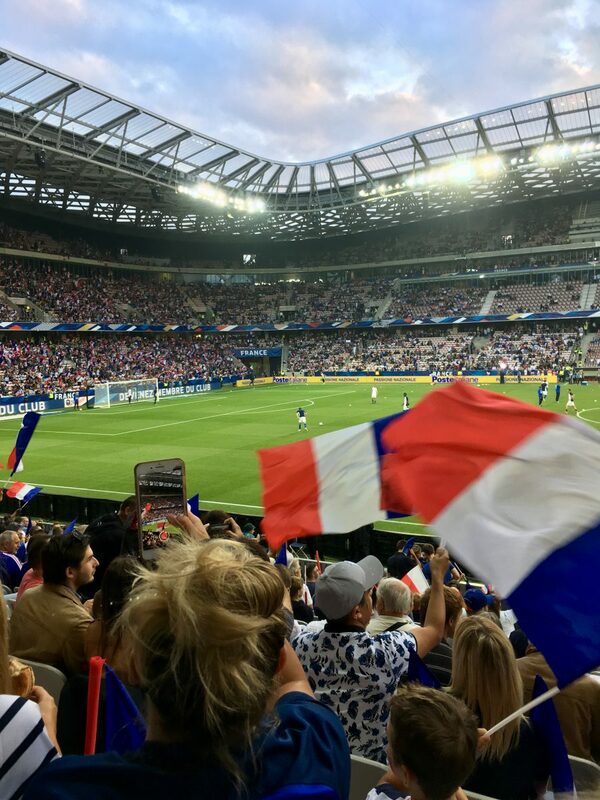 Obviously, I’d love France to win and I’ll be fluttering my tricolor flag, courtesy of having watched France v Italy at the Allianz Riviera stadium two weeks ago. However, it’s hard to look past the holders Germany and the mouth-watering array of talent on display from South America. Having the benefit of an enforced period of rest due to injury, I fancy Neymar for the golden boot as he’ll be fresher than most. Bring it on!